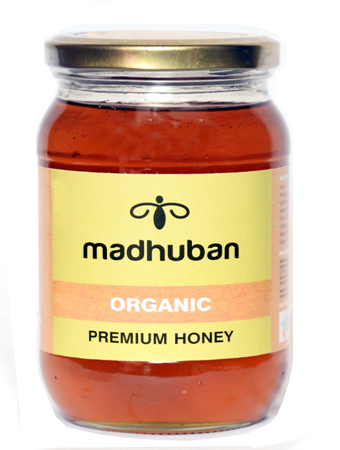 Madhuban honey got status of organic honey from "Natural Organic Certification Agro body"
Mahabaleshwar - honey Directorate "Madhuban" the production area Mahabaleshwar Ghat affluent West has now received status as organic honey. Besides, Satara, Sangli, Kolhapur, Sindhudurg in four districts of the hill areas, farmers will get 350 per kg rate for honey and honey Directorate of profits 15 per inherit. Maharashtra state khadi and gramodyog board has triggered large scale honey in the four districts of western valley. Follow the bees compared to the goat-like survival of poultry farmers in terms of secondary devices have proved to be a good business. 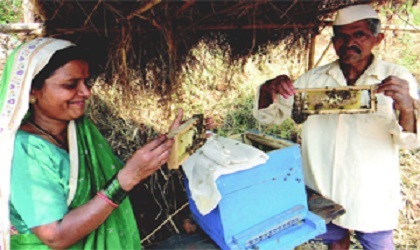 Farmers were getting good income from the sale of honey. The rich biodiversity of the of western valley is good to collect good quality honey; due to which customers can trust the quality of honey. By good marketing farmers will secure a good rate of honey and consumers will get quality honey. The villages where no farming is done in 10-15km of area; or the farming is done in pure organic way the honey collected from such areas is recognized as organic honey. 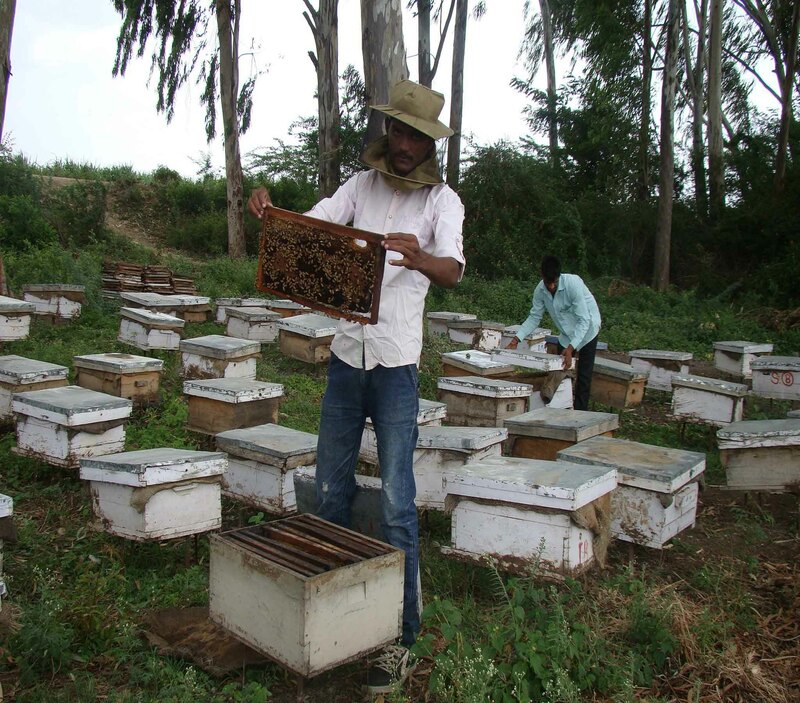 Pune Central Institute "Natural Organic Certification Agro body” has chosen 12 villages from Satara ,6 from Sangli, 22 from Kolhapur,6 from Sindhudurga for organic honey collection. Western valley’s Ratnagiri, Raigad and Thane, Palghar, Nagar, Nashik, Nandurbar, Dhule and Pune districts are to be surveyed and all the villages in areas with favorable scheme will be covered soon under organic honey collection. 15 percent share of the profit from sale of honey will be given to farmers in the form of honey boxes, honey equipments. Three years ago, the honey of Rs seven lakh were sold honey. Today, it grew to Rs fifty lakh. - Honey collection is from Pollution free and no-crops, wild areas. - Purity and quality of the highest priority. 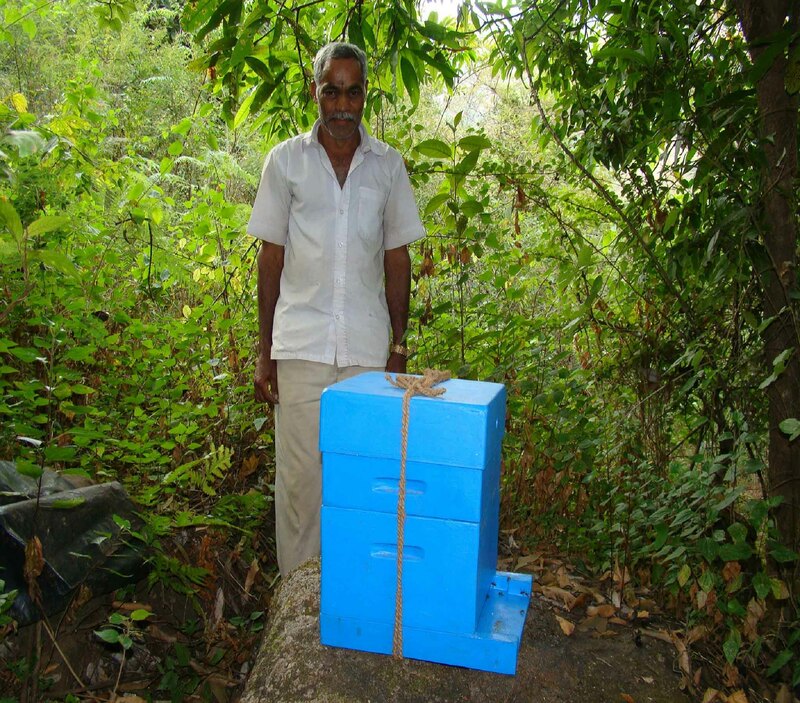 - Organic honey will generate jobs for people in remote areas. - Forest protection and conservation of bees will follow the business strength.